Contributions by Douglas R. Nickel, Ian Frazier. 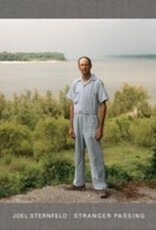 Over a period of 15 years, Joel Sternfeld travelled across America and took portrait photographs that form, in Douglas R. Nickel's words, "an intelligent, unscientific, interpretive sampling of what Americans looked like at the century's end." 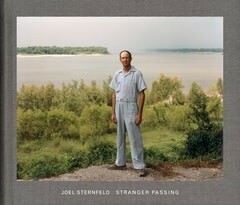 Unlike historical portraits which represent significant people in staged surroundings, Sternfeld's subjects are uncannily normal: a banker having an evening meal, a teenager collecting shopping carts in a parking lot, a homeless man holding his bedding. Using August Sander's classic photograph of three peasants on their way to a dance as a starting point, Sternfeld employed a conceptual strategy that amounts to a new theory of the portrait, which might be termed The Circumstantial Portrait. What happens when we encounter the other in the midst of a circumstance? What presumptions, if any, are valid? What, if anything, can be known of the other from a photographic portrait?